The New Year's celebration in Rio de Janeiro consists of fantastic events that will surely make everyone have a fun and memorable time. This is one of the most important and prominent celebration comparing with the celebrations of the other countries. It has a truly magical appeal with its spiritual background. The parties cover every inch of the city especially in Copacabana where the most popular party is, for locals, poor, rich and virtually anyone wanting to engage in the celebrations. If you are aiming to get the most out of your experience in the New Year's Eve in Rio, you should consider these several aspects for a headache free trip to Brazil, so you can have the most sensational experience, start planning right now for 2016 - 2017 big night. It is very hard to get cheap flights, or even find any flights available, if you try to get your tickets at the very last minute, especially if you are coming from any other country. The 2016/2017 New Year's Eve in Rio is expected to be no different than the previousyear's, attracting over 2 million people with the hectic flights to cover domestic and international routes, the best thing to do is to plan your trip ahead. In our website you'll find many options of New Year's Rio Travel Packages available with the flights already included to help you trip planning and the prices change depending on the peak seasons and the class of service you want. If you have a jet, of course, it would not be a very big deal. 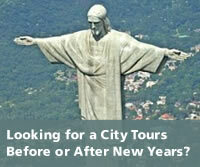 Many agencies offer New Year's Rio travel packages and that also include different kinds of hotel accommodations. There are very popular travel package options, but remember, it is important to have a good hotel accommodation during the New Year's celebration in Rio de Janeiro for a truly relaxing and worthwhile vacation. Again, with 2 million people coming, especially to places like Copacabana, it will be very hard to find vacant rooms if you don’t book in advance. Make sure that you have the hotel secured if you are planning on having a pleasant trip experience. Remember that the 2017 New Year's celebration in Rio de Janeiro is a huge party, and you need to have a good estimate budget for your trip to make sure that it will cover all your expenses for the whole trip. If the New Year's Eve in Rio 2016 is only one part of your trip, then make sure that you have enough money for transportation, food and other activities for the rest of your itinerary. It is important to have a completely fun and exciting celebration without worrying about the costs of your whole stay. Plan the trip accordingly with your targeted budget and put allowances to avoid unexpected expenses. Although planning a trip for the 2017 New Year's in Rio is extremely fun, it requires planning and setting priorities for fitting into your budget. Like any other international trip, it is important to secure your travel package or separately hotel accommodations, transportation, and of course the overall aspects that are involved in making your trip a true success. 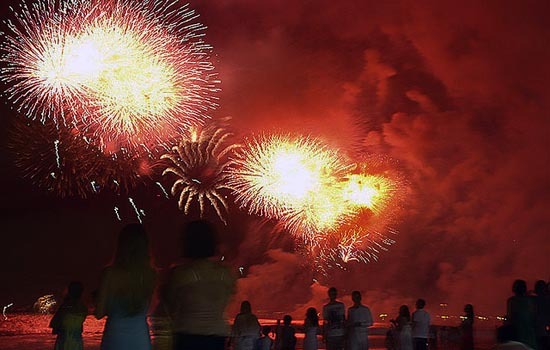 The New Year's Eve in Rio is the most magical and faithful party that you could never imagine been a part of, so make sure to plan your trip very well to avoid the unexpected problems, especially when the New Year's is approaching.